Fionnola Kelly is a PhD scholar on the SPHeRE (Structured Population Health Services Research Education) programme and is based at the School of Medicine, Trinity College Dublin. Her principal supervisor is Professor Kathleen Bennett, TCD and her two co- supervisors are Professor Sinead McGilloway, Maynooth University and Professor Anne Hickey, RCSI. Fionnola holds a BA in Sociology from Queens University Belfast and a Masters degree from the University of Ulster. Prior to commencing her PhD, Fionnola was employed in the Health Research Board (HRB) as a Research Officer. As an employee of the HRB, she was responsible for the management of two National Databases: The National Drug Treatment Reporting System (NDTRS) and the National Intellectual Disability Database (NIDD). Fionnola has also worked as a Data Analyst in the ESRI and was responsible for analysing HIPE data (hospital inpatient data), which included over one million cases. 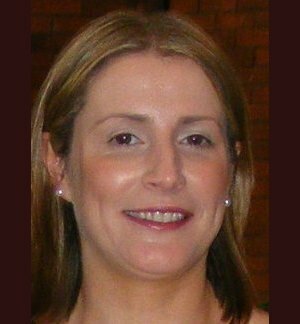 Fionnola is a proficient SPSS user and was employed as an SPSS consultant with SPSS Ireland where she provided professional training in data analysis, data collection techniques and research methodologies. Fionnola has authored (and co-authored) many publications to date including peer-reviewed international journal articles, annual reports, conference papers and other academic publications. The aim of Fionnola’s doctoral research is: (1) to identify mental health risk factors in Irish children; and (2) to undertake a pilot evaluation of an online parenting intervention for improving children’s mental health. The supervisory committee includes Professor Kathleen Bennett (TCD) (Principal Supervisor), Professor Anne Hickey (RCSI) and Professor Sinead McGilloway (Centre Director).